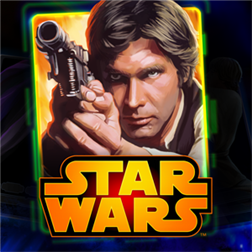 Collect and play as your favorite classic Star Wars characters such as Luke Skywalker, Han Solo, Boba Fett, Tusken Raiders, and more! Each hero has unique stats, abilities, and attacks to increase your team’s overall strength. Use special items to train your characters and improve their special attacks! Play exciting missions and buy mystery Hero Crates to collect over 200 characters and items, which will make your team dominant against increasingly powerful enemies! Written by: MBGW on March 27, 2014.